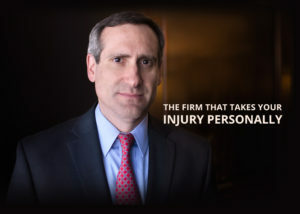 Talk to the Dallas accident attorney team that cares for you personally. FIND OUT IF YOU HAVE A CASE TODAY! FILL OUT THE FORM AND GET A FREE LEGAL SESSION WITH WARD MAEDGEN. Please call and schedule an appointment as soon as possible. I’ve worked in the Texas court system and the insurance world for years. I know exactly how to fight for you and I have the experience to prove it. Even if we don’t end up working together, I charge nothing to initially advise you on your case and there is no obligation. Your case will always be different and special and I can tailor a strategy just for your unique case. I handle all personal injury cases on a contingency basis. I DO NOT CHARGE A FEE unless I obtain a recovery settlement for your personal injury. We advance costs and expenses as needed. We advance all costs and expenses related to your case, and we do not recoup these costs unless we collect money for you. Personal injury claims are time sensitive! Don’t let anymore time go by. Claim your FREE consultation on the phone or in person with Ward immediately. Ward has helped hundreds of people in Texas get through the toughest times and have helped them win compensation. Now it’s your turn.